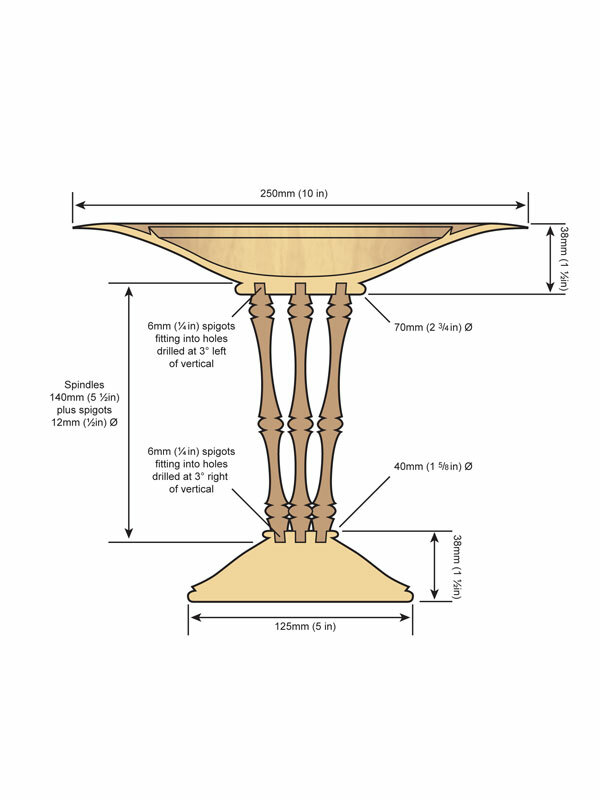 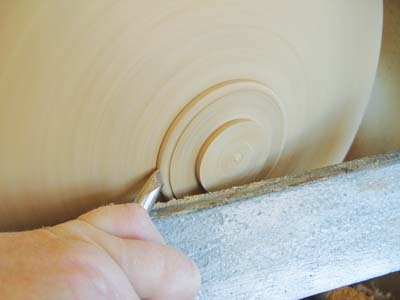 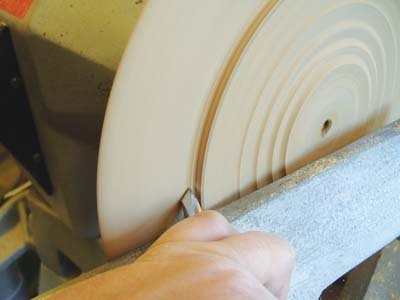 I sat down with sketch pad and pencil and came up with the design for this tazza where three finely turned spindles replace the traditional single spindle. 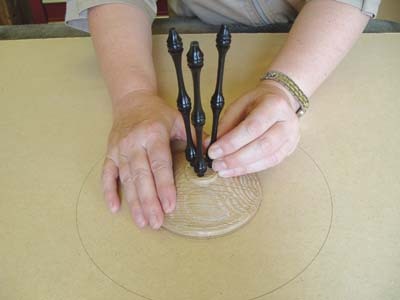 That was the easy part; I now had to turn the drawing into the finished item. 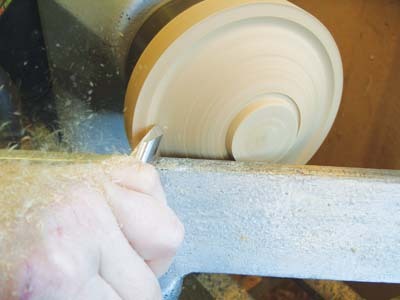 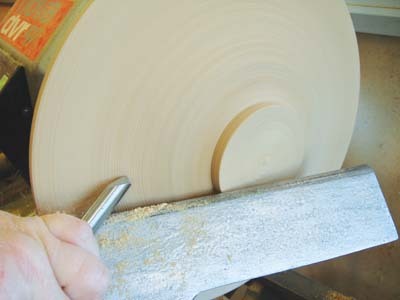 I cut the bowl blank and base from a board of oak (Quercus robur). 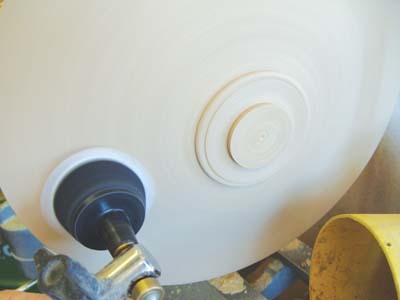 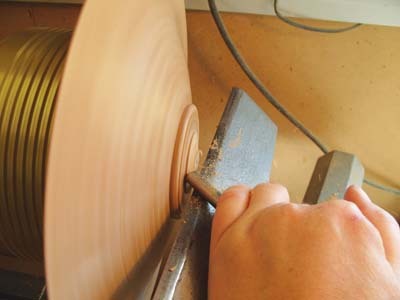 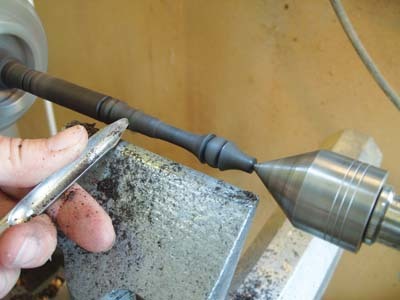 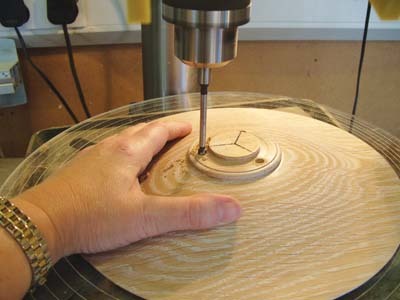 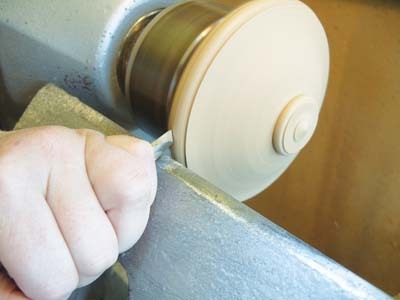 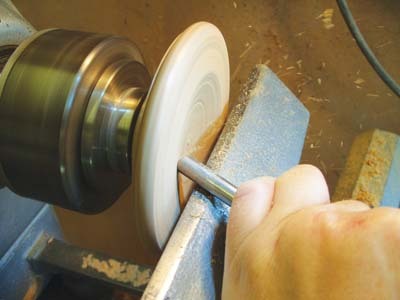 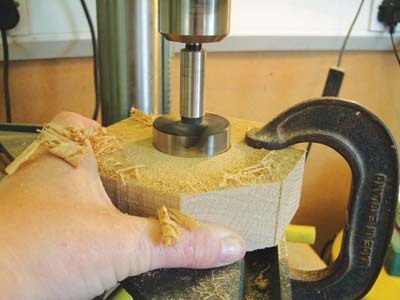 I didn't want the spindles to be parallel to each other so I had to experiment until I found the correct angle to drill the base and bowl which would reduce the overall diameter of the spindles from 50mm (2in) diameter to 20mm (3/4in) diameter. 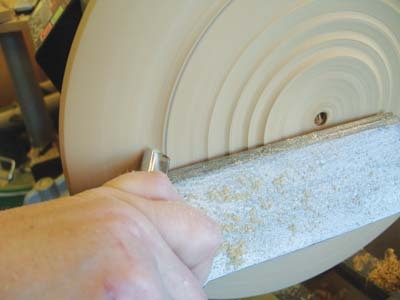 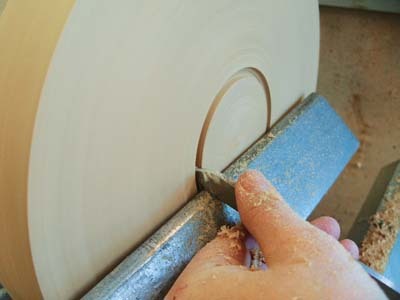 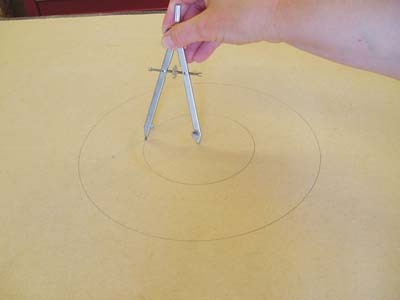 When the bowl and base were finished, I cut three lengths of dowel and checked them for length. 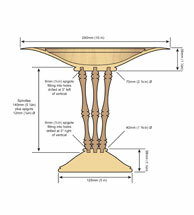 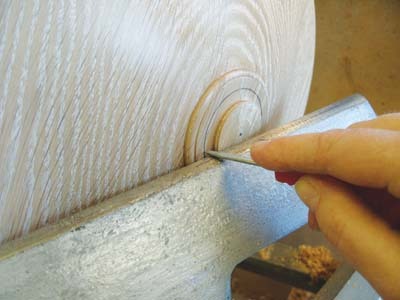 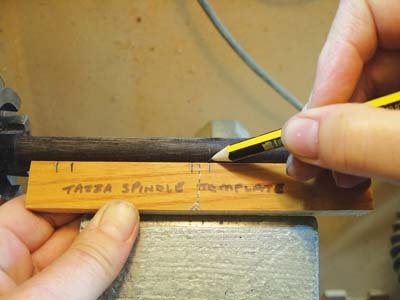 It would be far easier to adjust the dowel lengths than it would be to alter finished and parted off spindles. 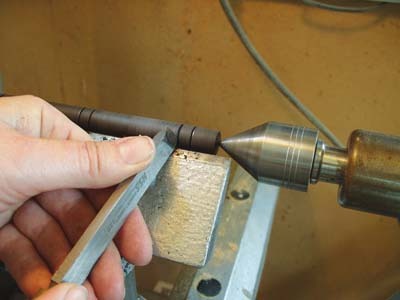 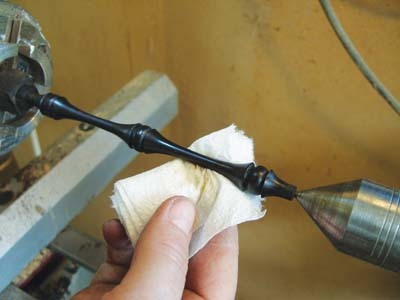 I turned the ebony (Diospyros spp) spindles to exactly the same length as each other and as near identical as possible. 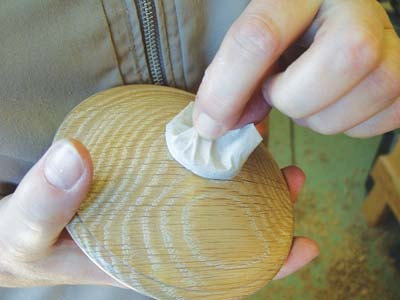 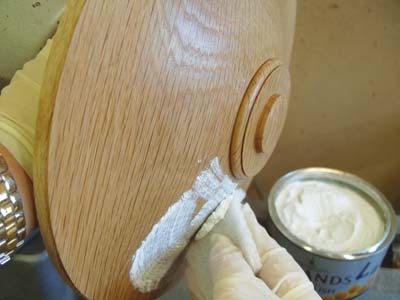 I chose to lime wax the oak because the grain didn't stand out as much as I would have liked. 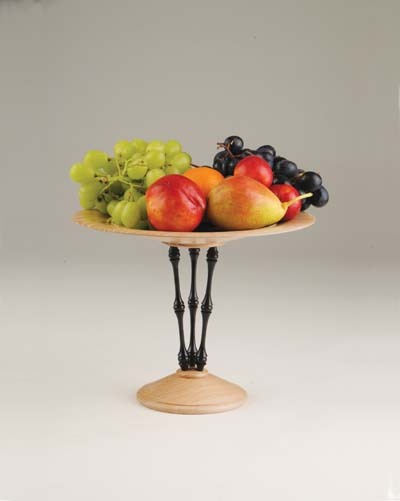 The liming wax has enhanced the beauty of the wood and brought another dimension to the piece. 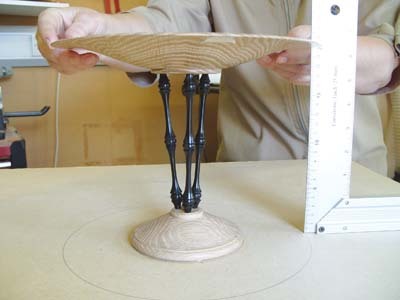 The ebony spindles have provided a beautiful contrast to the oak in colour, texture and gloss finish.